your E-Mail address on the post requesting the mod is a different one from the one in you subsequent posts. The one that I sent the mod to was @sncglobal.net. that I made for another forum member, if it’s of any use. of pop up panels that you are after. Jim thanks for reply. Yes that is what I would like so please send me what I need. The files and installation instructions are on the way to.. I will try my best to assist. As a another Beaver X owner, I would be very interested in having the pop-ups that you have made for the GPS, gauges, etc. Would that be possible? My e-mail is carl.reinhart@wanadoo.fr Thank you up front. Happy to help, the files are on the way. Any problems just drop me a line. I would like that also. If you hit any problems just drop me a line and I will try my best to assist. Does this panel only consist of the panel.cfg if so I'll ask if it can be uploaded to the Downloads section of the forum for you. for a while, but I’m better now. Engine Instruments and of course the GPS unit pop-ups, and that’s it. of the installed modification weighs in at just over 1MB zipped. only after a few users commented on the GPS unit that I offered to send it to any individuals that wanted it. If forum members want access I have no problem uploading it. Its okay to upload it to our forum "Downloads" section, but nowhere else please. Just makes it easier for others to get if they ask. as requested the file will not be uploaded to any other site. I hope it helps some of the forums Beaver pilots out a little. Thanks for the invitation to upload it. Great job Jim, thanks for share with us this panel mod. just drop me a line at the E-Mail address in the installation instructions, and I will try my best to assist. As Shaun requested that it might be easier for the forum user to access the file if it was in the forum downloads section, I uploaded the Pop-Up GPS and Instruments mod to the downloads general section. 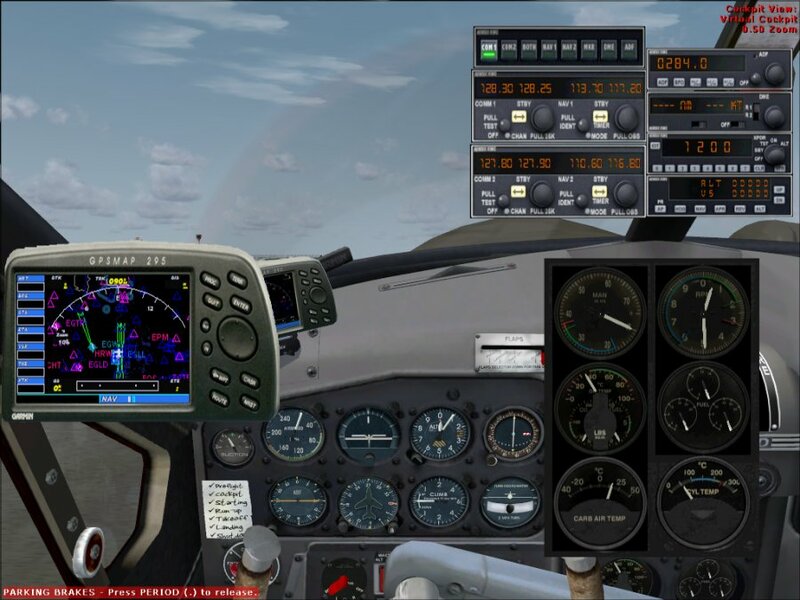 As for the gauge sounds, yes it exists and the mod should be available through Aerosofts main support section. The Beaver is a favourite of mine, so this little mod of yours is very welcome. Just grabbed it from the downloads section. Your more than welcome, that’s what we are al here for, to help where we can, and especially in my case learn what we can. Your more than welcome, that's what we are al here for, to help where we can, and especially in my case learn what we can. Jim, contact us on support@aerosoft.com so we can send you a free download product to show we appreciate what you are doing to help others. Thenk you very much for both the kind words, and the extreamly generous offer, one that I have to admit I really appriciate and it’s an offer that to freely quote Brando “you’ve made me an offer I can’t refuse”, so a contact E-Mail is on the way. By the way I got Ibiza yesterday, and even with my some of my more systems intensive FSX aircraft, the framerates are brilliant.